Some journals will feed you, find verses for you, and even pray for you—What’s left for you to do? God wants us to dig into His Word for ourselves. 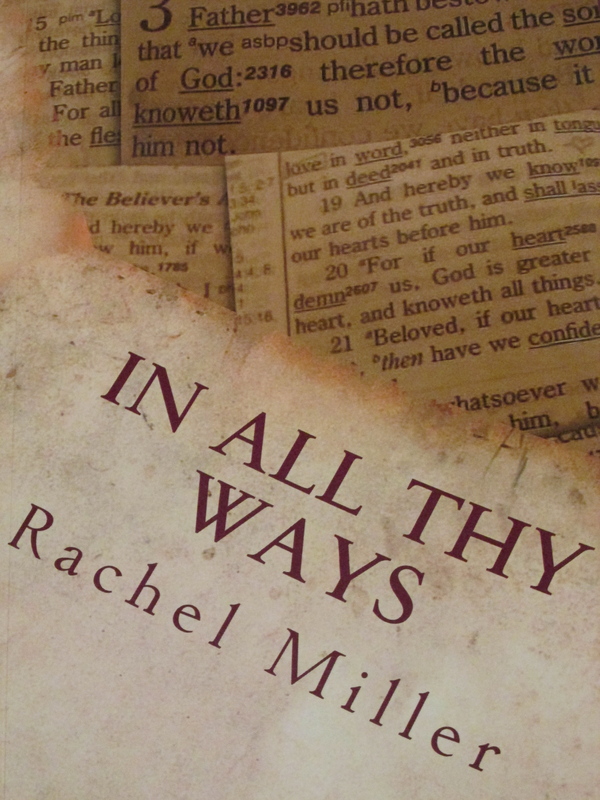 “In All Thy Ways” offers eight weeks of journaling pages, each designed to help you dig deeper into Scripture. It asks simple questions that bring depth to your daily Bible reading and application to life. It also provides room for word studies, prayer, praise, and for recording God’s working in and through you. Don’t let someone else chew your food for you. Dig in, and dig deep! I’m so glad to see you still are offering this journal. I hope to buy one soon and show our women’s group and pastor.